While many people have preconceived ideas that a lawyer will charge a fee from the start of a case or even for a consultation, here at Zinda Law Group, we are proud to say that we offer free consultations and we do not charge our clients anything unless we win their case – that’s our no win no fee guarantee! No win no fee agreement (also known as a contingency fee agreement) is common practice among lawyers in the US and means that the client does not have to pay fees or expenses if the lawyer does not win their case. The purpose of a no win no fee agreement is to ensure that all people, regardless of their financial state or legal experience, can obtain the highest quality representation without having to pay legal fees out of their own pocket. If you have been injured in an accident, on the road, in a public place or at work, as a result of the actions or inactions of a third party you may be entitled to pursue a personal injury claim against the person responsible. Lawyers’ fees vary from case to case and will depend on the complexity of the case and time involved, for example. When you speak with a personal injury lawyer, they will assess your case and answer this question for you. Do you offer no win no fee legal services? 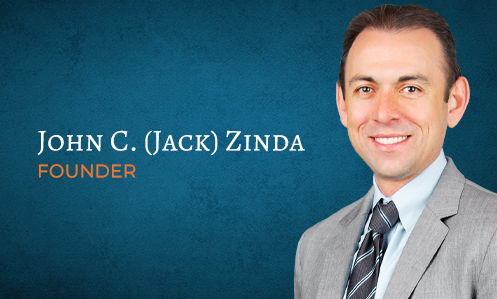 Yes, with Zinda Law Group you will receive a free consultation and case evaluation. If we take on your case, you pay nothing unless we win your case – that’s our guarantee! A contingency fee is a percentage of the amount the client is awarded that is paid to the attorney. It is also known as a no win no fee agreement and simply means that if a lawyer takes your case, they will front the cost of running your case. This essentially means that the law firm’s fees are ‘contingent’ on the result of your case. If your case is settled in your favor, then the lawyer will receive a percentage amount from your settlement as a fee. An attorney is paid a fee for the time they worked on a case and expenses incurred in running the case. A personal injury case can be costly and therefore prohibit a person from pursuing their claim. Therefore, a contingency fee arrangement (no win no fee agreement) is offered between the law firm and the client. Thus, allowing the client access to legal representation quickly to resolve their case as soon as possible. It is our goal to make the claims process as stress-free and straight forward as possible and that starts with our no win no fee agreement. This means that if you are a client of Zinda Law Group, you are not burdened with the worry of costs – all you need to do is focus on your recovery while we focus on settling your case. Your health is your wealth and it is of utmost importance that you seek medical attention straight away following an accident or injury. Once you have received medical attention, you should speak with a lawyer as soon as possible.. We offer 100% free consultations to help you understand your position better, without having to worry about consultation fees in the process. Your attorney will then take the time to investigate your claim and in doing so will gather documents needed to file your claim. This will also include requesting medical records, as you will need these to prove your injuries. One common worry a client faces when making a personal injury claim is that they will have to attend a trial – this is generally not the case. The majority of cases are settled before ever having to set foot into a courtroom. Your attorney will focus on settling your case while you focus on recovery – keeping you informed and updated at every step of the way. Our accident lawyers are on hand to help you navigate the legal process. We know that it can be daunting to file a claim for the first time. That is why we have everything covered, allowing you to focus on your recovery while we focus on settling your claim. We have the knowledge and resources necessary to help you build the strongest case possible and seek maximum compensation for all the ways your injury has cost you.